A classic mirror chrome Art Deco style wall light featuring a mirror glass centre and a flush fitting back plate to create an upward spread of light. The addition of opaque frosted glass panels allows some of the light to spread sideways to create a warming glow. 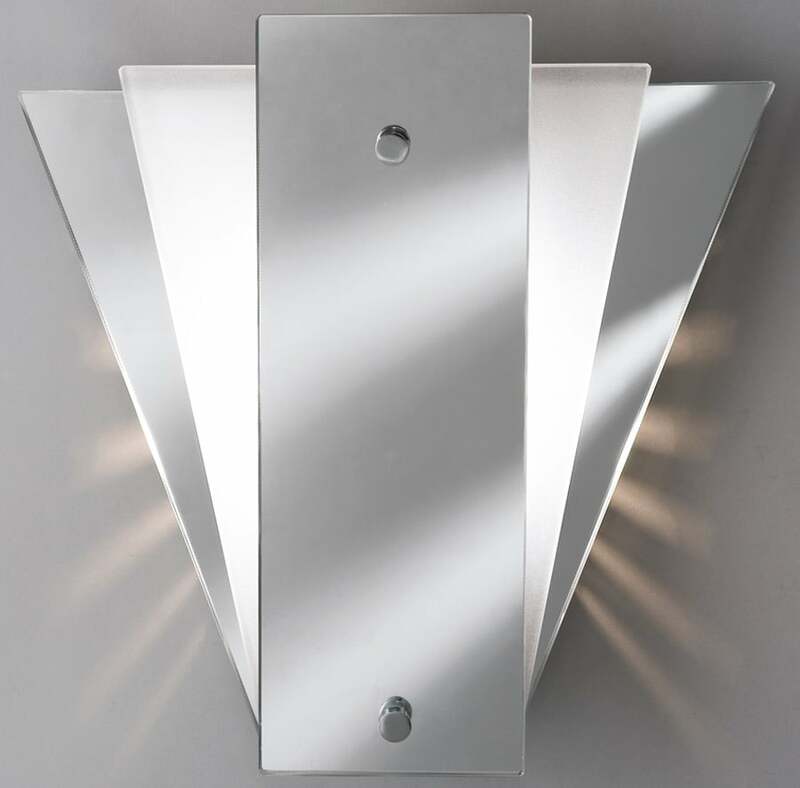 Designed in the classic Art Deco fan, this lovely wall light has a central mirror panel, with opaque frosted glass panels on either side. The outside panels are also mirror glass to complete this wonderful design. Classic Art Deco style lighting creating an atmosphere of elegance. 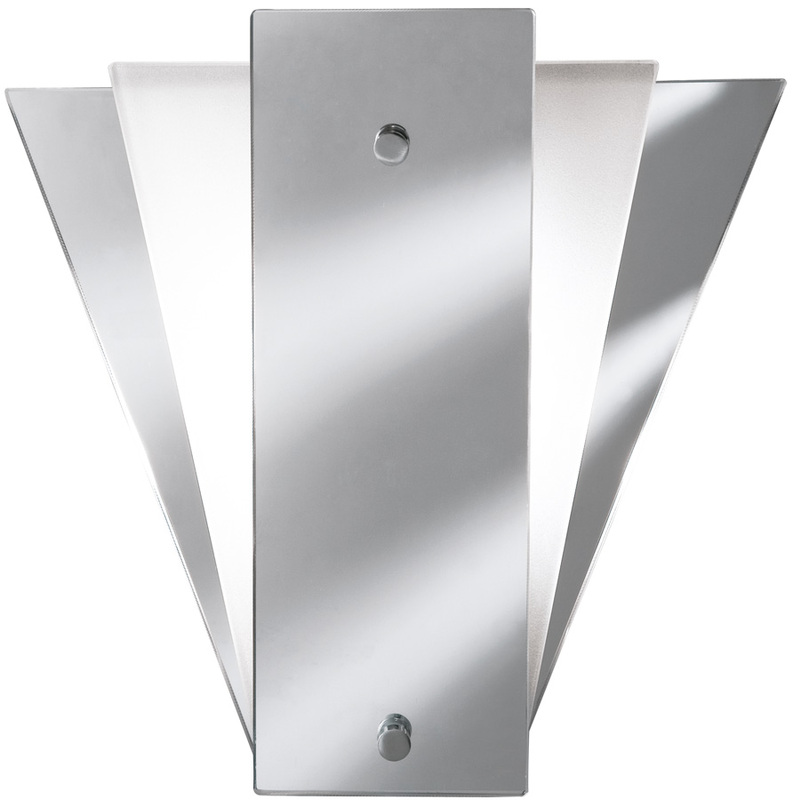 Please note: This wall light must be fitted with a low energy or LED lamp of up to 7w. Does the wall light come already built or is it supplied in parts? Hello Eileen, the mirror chrome wall light is supplied with a separate wall mount and the glass front parts that are assembled when fitted to the wall. I have linked the installation instructions that show you how it goes together. Hello Jill. Thanks for your question. This wall light is surface mounted. Kindest regards, John.